Brainwashed - Sean McCann, "Fountains"
Sean McCann's output has greatly slowed in recent years, as he has become increasing focused on running the fine Recital Program imprint, yet he was easily one of the most wildly prolific figures to emerge from the cassette culture explosion of the early 2000s. As a result, much of his finest work surfaced only ephemerally and many of his early tapes have likely only been heard by the most devoted of Foxy Digitalis readers. 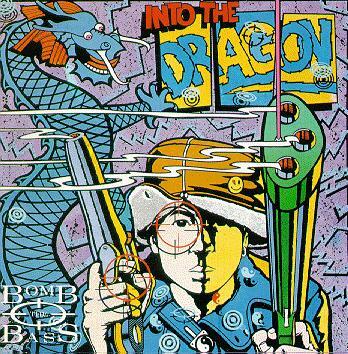 One of countless releases that slipped by me (and presumably lots of other people) was this one, originally issued on cassette and CDR on McCann's earlier Roll Over Rover label back in 2010. 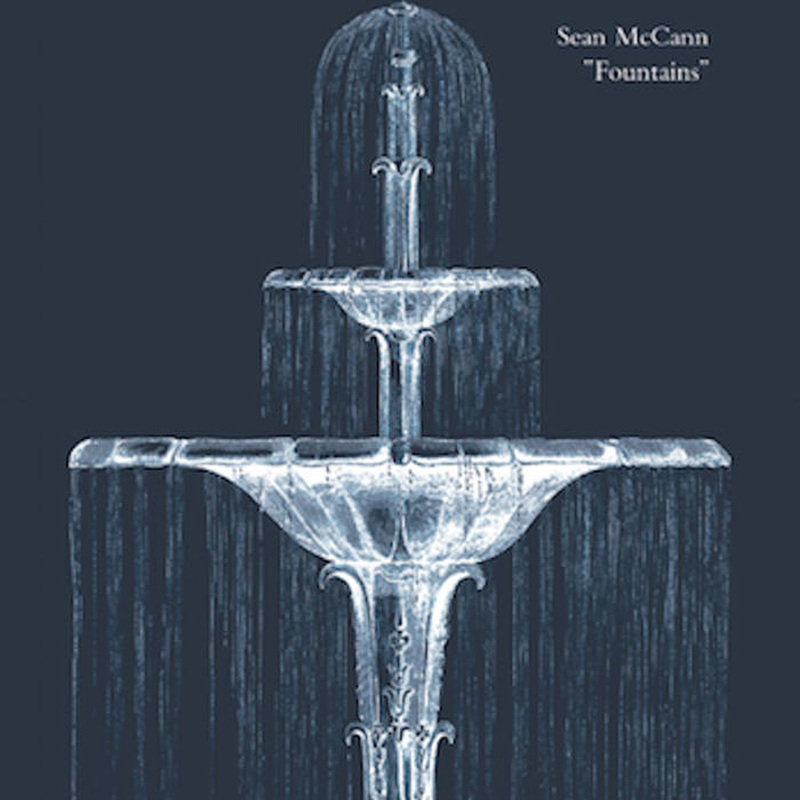 Despite that humble release, Fountains was an ambitious undertaking, as McCann envisioned it as an "ambient masterwork" that would be the debut release for Recital. He was never quite happy with it though, and moved onto his more orchestral-minded Music for Private Ensemble work instead. I certainly cannot fault McCann's decision, but he was wrong about one thing: Fountains actually is an ambient masterwork (or at least damn close to one). In the liner notes to this reissue, McCann amusingly describes this period of his career as his "smashed fire-hydrant geyser" phase, as his entire life was consumed by recording and releasing music. He also notes that Fountains was one of his most cohesive releases from that formative era in San Francisco, which I suppose is probably true, though I suspect there are still a number of other underheard gems lurking in his back catalog. In fact, I believe I first stumbled upon McCann’s work through a mere production credit on a Dreamcolour tape that unexpectedly floored me. Similarly, Round Bale's David Perron (a big McCann fan, obviously) only recently discovered Fountains himself when he asked McCann about unreleased material he might have lying around. Some of that unreleased material (from roughly the same period) appears on this reissue as the final five songs, stretching Fountains across two cassettes and exceeding two hours of music. It is hard to say whether those new pieces add anything to a largely unheard album, but the closing "Arrow" admittedly stands out as a quite a beautiful piece. In any case, the new pieces certainly fit comfortably within Fountains' prevailing aesthetic of elegantly blurred, churning, and dreamlike violin loops. Also, given the blearily hypnagogic and looping nature of these pieces, extreme length is kind of an asset, as the album feels like a lazily rapturous and immersive infinite loop, akin to McCann's own pleasant memories of falling asleep to Andrew Chalk albums. Also, for those less inclined to lose themselves in an endless slow-motion sound world, the cassette format is especially convenient for breaking up Fountains into more manageable subsections. While a few pieces, such as "Community Gargle," incorporate squealing and scraping strings into McCann’s hazy, gently churning reveries, the vast majority of his violin and guitar loops are blurred and dissolved into ghostly abstraction. That penchant for soft-focus unreality also extends to the textural field recordings that appear in the background throughout the album, which (unsurprisingly) tend to be of fountains, albeit slowed and transformed into deep, reverberating ripples. There are some notable exceptions though, like the warmly lovely "Glancing at Ships," which evokes a steady rain falling on creaking dock…and then gurgling waters flooding into a splintering hull. That piece is unquestionably one of Fountains' individual highlights, though it is easy and perfectly reasonable to view this album as a series of variations on a single theme. Some variations just happen to be a bit more compelling than others, appearing as unexpectedly vivid oases in the languorous flow of fluttering, swaying, and vaporous bliss. The opening "It Never Entered My Mind" is another such piece, resembling a dense mass of slow-moving clouds, but with enough passing dissonance in its harmonies to offer a glimpse of something deeper and more mysterious. Elsewhere, "Stars Across The Floor" sounds like swells of E-bowed guitar that have been slowed down to the point that they feel like rivulets of water rolling down a window in a world where time has almost completely stopped. My favorite piece, however, is "The Tumblers," as McCann weaves a series of warped and undulating chords that sounds like a distressed tape fitfully playing at the wrong speed as a gorgeously warm haze of strings spreads outward from the edges. It is one of the album’s shorter pieces, but it is perfect in its concision. In fact, the entire album is quite strong and thematically focused, which gives it quite an impressively immersive cumulative power as it slowly unfolds. I would like say that it is remarkable that such a wonderful and deeply absorbing album languished in obscurity for so long, but the world is full of great music that never found a suitably influential advocate or had a chance to reach the right ears. Consequently, it is a delight when someone like David Perron comes along to belatedly right a historical injustice and bring an opus like Fountains to a larger audience. It certainly deserves it. That said, I can understand why McCann is generally quite reticent about keeping his early work available, as those old tapes and CDRs are so divergent from his current work that they seem like a different artist altogether. The Sean McCann of 2018 is an orchestral composer with a deep fascination for sound-poetry and 20th century avant-garde movements like Fluxus, so it makes sense that he might view his early eruption of cassette work as comparatively unsophisticated and derivative. It is true he was a representative part of a milieu back in those days. However, it is also true that an enormous amount of great music emerged from that (second) heyday of the cassette scene and McCann was responsible for some of its finest moments. I suspect only McCann himself truly knows whether or not Fountains stands among the best work from that phase of his evolution, but I am unaware of any other secret attempts on his part to craft a career-defining epic of gorgeously bleary ambient heaven, so there is a good chance that this was a one-of-a-kind tour de force. If it was not, it at least feels like one.